If you’re looking for some great ideas for last minute Sew Easy Holiday Gifts, you’ve come to the right place. We’ve all come together to share our favorite projects that are quick to quilt and give as gifts, and here they are! 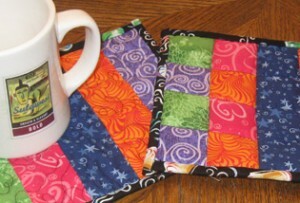 Mug rugs are GREAT quick quilty gifts! 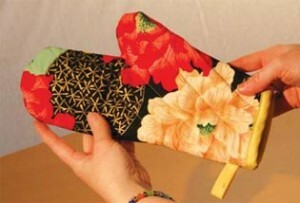 This project is also a great way to use up scraps – make one in colors you know your family or friend will love. Click here to get the downloadable project instructions. 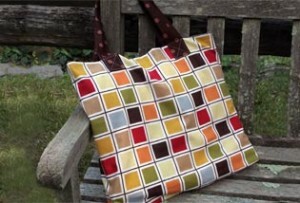 Create a quilted blanket in a bag perfect for picnics, sporting events, or stargazing. Easy to tote, you could say that the fun is “in the bag!” Use the BERNINA Walking Foot #50 with the center guide to stich in the ditch and quilt this blanket in a jiffy! Click here to get the downloadable project instructions. Quilt up some kitschy kitchen accessories with these quick projects and make them match with coordinating fabrics. 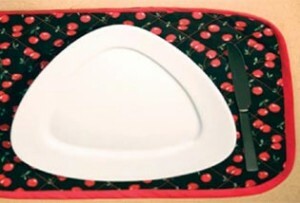 Click here for the Reversible Placemat project instructions, and click here for the Quilted Oven Mitts project instructions. If you missed our earler posts, you can check back to find our Home for the Holidays ideas, our All Decked out for the Holidays post, and our Wrap it Up! post for even more ideas. And be sure to check our twitter feed and facebook fanpage for even MORE ideas every day from now until Christmas!